As a leading ecommerce services provider to over 250,000 retailers worldwide, we here at Magento Commerce have personally witnessed the industry moving toward more innovative and fulfilling shopping experiences. Our retailers have recognized the need for a clear and consistent customer journey that inspires shoppers at every stage, and they’re the leading the way with rich shopping experiences at every turn. 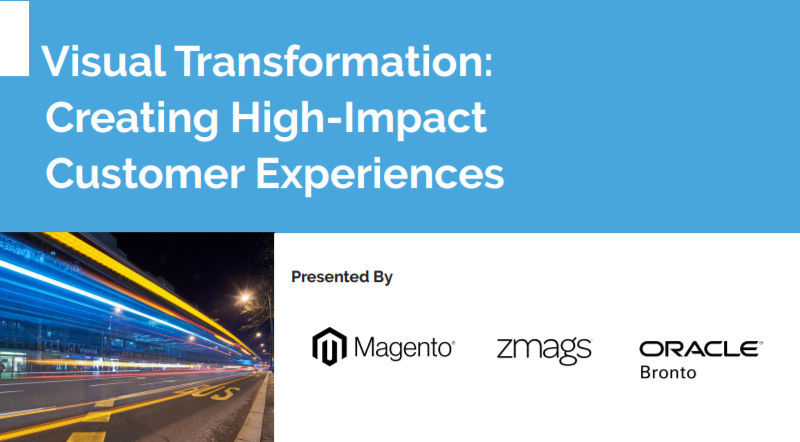 We’ve partnered with Zmags, The Agile Content Hub and Oracle Bronto, a leader in email marketing solutions, to give insight on how brands can deliver this best-in-class experience and explore how digital marketers can employ visual content to create a shopping experience unlike any other.